Refillable CANON cartridges help the users, who print not very much, to economize on printing. Refillable cartridges represent an excellent substitution for original ones. You may buy CANON cartridges or refillable cartridge Brother and save on every printing. Thanks to reusability of HP Refillable cartridges, one can save his budget significantly. It's a perfect variant to those users, who print rarely and in small volumes. We must confess that Refillable CANON cartridges are less capacious, than continuous ink supply systems, that's why they have to be Refillable more often, if a workload is large. But if you print not very much, compatible CANON Pixma cartridges can become an excellent solution for you. You can economize on every printed text document, on every photo. The prices for CANON cartridges let each ink-jet printer user print more economically. In this section you may order and buy CANON cartridges. How much money can one save with the help of Refillable cartridges? Well, quite a lot. Just try to count up, how much money you have to overpay each time when buying an original cartridge. A plastic case, chips, brand вЂ“ all this costs not very little, considering the total price of cartridges. As for Refillable cartridges, that is another matter. First, the prices for CANON cartridges are rather moderate. Second, you will not have to buy new Refillable cartridges again and again. To continue printing, it's enough just to refill compatible inkjet CANON cartridges with ink. Moreover, the print quality doesn't suffer. So, you may buy CANON cartridges and print economically and without the loss of quality. You may add ink into Refillable CANON cartridges for Canon printer as many times as you need. It has become possible thanks to nullification of chips. The chips of Refillable CANON cartridges can be reseted or nullificated from time to time. Thanks to this an ink-jet printing device interprets Refillable cartridges as full original ones. You may buy CANON cartridges and get one set of Refillable cartridges, which can be filled with ink again and again, instead of thousands of original cartridges. Refillable cartridges let save not only money, but time as well. Just imagine how much time you spend to buying of new original cartridges. 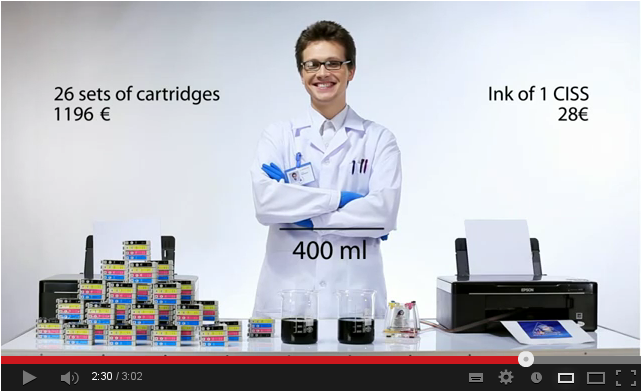 As for compatible ink-jet CANON cartridges, they can be filled with ink for a couple of minutes. Save your time and money! Nullificated chips of Refillable CANON cartridges or HP cartridge provide not only economy, but stable printing as well. Refillable cartridges keep the reliability of a printing device. Compatible CANON Pixma cartridges suit printers and MFP of this manufacturer perfectly. Ink-jet printing devices work with Refillable cartridges as stably as with original consumables. At the same time, the prices for CANON cartridges are noticeably lower than the prices for original cartridges. The same can be said about the cost price of printing. Refillable CANON cartridges are much more economic and convenient than originals. Why should you overpay every time the container is run out of ink? 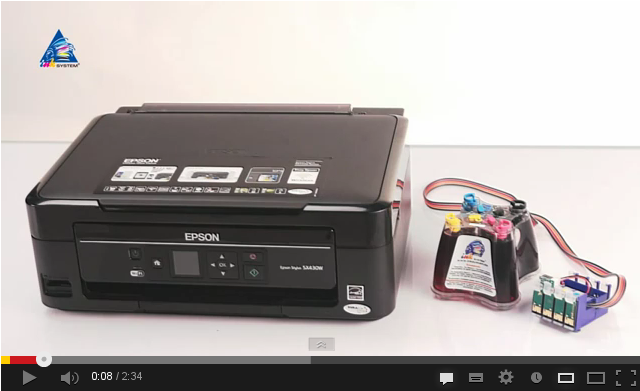 You may just buy CANON cartridges and let yourself an affordable printing, like with Epson T 50 printer with CISS. 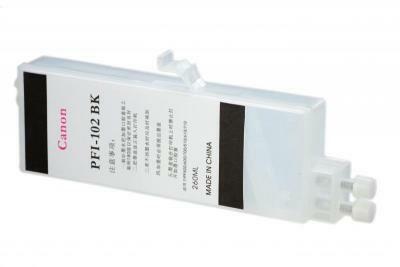 In our online store you'll find the best prices for Refillable Cartridges for Canon Plotters. 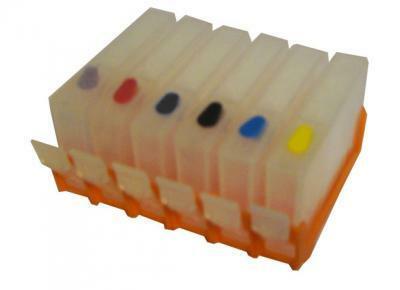 You may choose a set of Refillable cartridges that will suit your ink-jet printing device perfectly. You can buy CANON cartridges right on the site вЂ“ just press "buy" button and fill in the contact form. After that our managers will contact you to specify all necessary details. You may purchase Refillable CANON cartridges at our regional dealers' stores as well. 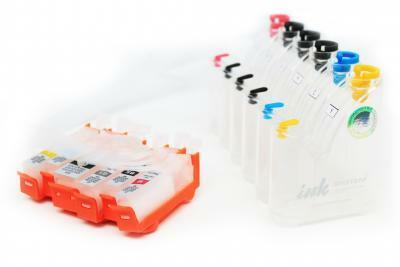 INKSYSTEM company watches over the prices for CANON cartridges, so, they are quite affordable to the majority of users. Print economically and without loss of quality!